Located at 211 S. Main Street, next to the Breckenridge Welcome Center in the heart of the historic district. This is a true outlet store with top name brand ski wear, snowboard wear, mountain wear, street wear and more... at 25% to 70% off retail prices every day of the year. Get the best prices in town for quality merchandise! 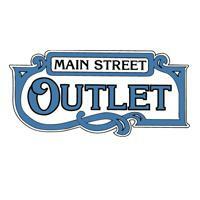 Main Street Outlet: Where your dollar always goes further...No brag, just fact!